A family locator app may sound pretty simple. It should be an easy to use app that uses global positioning satellites (GPS) and a smartphone to give parents up-to-date information about their child’s location. In actuality, the idea of instantaneous tracking of a child’s whereabouts is fairly complex; as is the wide range of options it can offer parents. Monitoring a child’s location can be an invaluable parenting tool, and can go far beyond simple tracking. A family locator app gives parents a means to ensure children have been and are where they are supposed to be. Family tracking apps can be used with a few intentions – safety, accountability and parental peace of mind. It offers families a life-saving technological innovation in the case of an emergency. In addition, a family locator app like MamaBear can let kids explore geographical boundaries allowing a parent to gauge where an intervention is necessary. 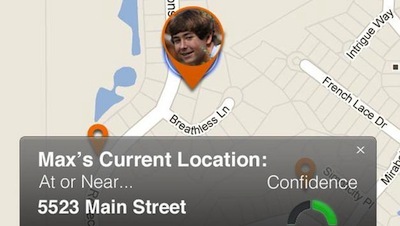 On the most basic level, a family locator app serves the basic function of tracking a child. With social location sharing and the utility of so many apps today, acceptance of the MamaBear app from our children shouldn’t be so uncommon. In addition, they may come to understand we’ll feel more comfortable allowing our kids to do a wider range of activities we may have otherwise found ‘too far’ or ‘too scary’ with the use of a family locator app. Knowing where our kids are when they’re camping, at an amusement park or on a day trip with friends can free up both sides of a parent and child’s relationship. Upon the parent’s discretion, it can be a two-way street. The parent has the option of sharing their location with their children when they choose. This allows an easy way for kids to find their way to meet up with mom or dad. In addition, a quick press of the check-in or come get me button from the the child communicates immediately with the parent. The times a family locator app like MamaBear can be the most invaluable are often the hardest ones for us as parents to consider, let alone discuss. In an emergency, a family tracking app can give parents and authorities an answer to a child’s current and recent location. A family locator app like MamaBear gives parents options and reassures our trust. MamaBear can give us the reassurance we need to let our kids live a little, and can protect their lives in the worst case scenario. With availability on Android and iOS enabled smartphones, MamaBear represents a flexible alternative to family monitoring. Previous PostPrevious Should You Use a Parental Control App on your Child’s Iphone? Next PostNext Is it Ok to Track Your Kids Cell Phone?